Patient advocate, clinician, collaborator, comforter, counselor, researcher, and manager: These are just a few roles Licensed Practical Nurses fill while caring for patients in hospitals, nursing homes, schools, patients’ homes, and physicians’ offices. As a member of the patient care team, LPNs play an essential role in the promotion of health, prevention of disease, and patient treatment and rehabilitation. 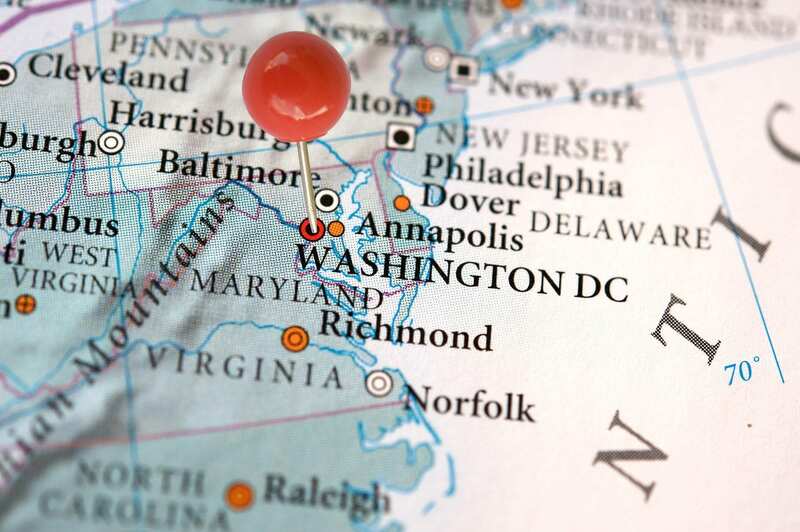 DC state laws governing the practice of nursing define the scope of practice for LPNs. The facility where they practice may also influence the type of role LPNs play in patient care. Their core responsibilities include medication administration, monitoring patient conditions, providing basic medical treatment, supervising unlicensed staff, and communicating vital information to supervising nurses and doctors to improve the quality of life of all patients. The Practical Nursing curriculum prepares students to perform specific nursing duties under the care and guidance of registered nurses and physicians. The classroom, laboratory, and clinical instruction emphasize those principles needed to deliver safe and competent care to patients. There are three Board-approved programs in DC. Instructors impart knowledge from social and biological sciences to give students a holistic approach to nursing and communicating with patients, their families, and members of the patient care team. In the classroom, students learn the fundamentals of nursing, ethics and laws governing practice, principles of practical nursing, growth and development, pharmacology, physiology and anatomy, nutrition, medical-surgical nursing, pediatric nursing, obstetrical nursing, health issues, issues and trends in nursing. The clinical training takes place in hospitals, nursing homes and other health care facilities where students interact with patients to meet their psychological, physiological, socio-cultural, and spiritual needs. Students work in teams with other students, staff, and experienced instructors who supervise and critique students’ performance to help them develop and improve their clinical skills. 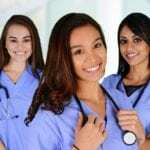 The program should meet the requirements of the District of Columbia Board of Nursing for graduates to receive the Board’s approval to take the NCLEX-PN. Individuals interested in applying to the Practical Nursing program will need to attend the school’s mandatory information session. Candidates 18 years or older must submit a completed application packet, high school transcript or GED scores, pass the TEAS (V) exam, complete prerequisite course requirements (anatomy, physiology, college composition, nutrition) official college transcripts if available, and registration fees. Students accepted on a provisional basis will need to submit proof of health insurance, pass drug screening, fingerprint screening, and criminal background check, obtain CPR certification, complete a physical exam, and provide immunization record showing completion of Hepatitis B, TB, Varicella, Influenza, MMR, and Meningitis immunization. Practical nursing graduates are eligible to take the NCLEX-PN licensure examination. It is important that you pass this exam to become a Licensed Practical Nurse in DC. Duration and Cost of Training: The average cost of training in District of Columbia is $20,100 based on the cost of attendance at DC’s premiere PN program at Radians College. The undergraduate certificate program is 15 months based on a full-time schedule. Students must budget for other expenses such as textbooks, supplies, uniform, graduation fees, state licensure, and NCLEX test fee. Students are responsible for fingerprinting and CBC fees, physical exam, drug screening, insurance, and immunization. Prerequisite course requirements and repeating courses to obtain a passing grade will increase the final cost of training. Financial aid is available for qualifying students. Before taking the NCLEX, candidates must first receive Authorization to Test (ATT) from the Board. The testing agency, Pearson Vue, will issue the ATT letter with the Board’s approval. As a candidate, you must submit an application for licensure to the Board at the same time you register online or by phone (1.866.496.2539) to take the NCLEX. The registration fee is $200 each time you take the test. Pearson Vue accepts credit card payment during the registration process. Applicants must submit a valid email address during registration to receive vital communication from Pearson Vue. When the Board approves the request – after reviewing a completed application, fee, evidence and nursing education, and fingerprints for the CBC – Pearson Vue will send the ATT containing information needed to schedule the exam. The ATT contains your personal data (should match the information on your ID), candidate ID, authorization number, and validity dates. Schedule and take the test within the proposed dates as there is no opportunity to extend the dates. If you miss the date, you will need to reapply to sit the examination. You won’t have to submit another application to the Board unless you fail the exam or submitted your application more than one year ago. The Board will mail your license within 10 business days if you pass the exam and meet all other requirements for licensure. The Quick Results Service makes your results available much sooner for a fee of $7.95 billed to your credit card when Pearson Vue posts your results to your online account. The unofficial results do not give authority to begin practice as the Board must first confirm the issue of a license before you begin practicing. If you fail the exam, you can re-test after 45 days. First you must submit another application to the Board and register once again with Pearson Vue to take the exam. The Candidate Performance Report, mailed to your address, will outline your strengths and weaknesses on your last attempt. 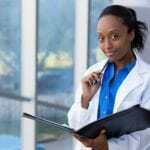 The practice of nursing as a Licensed Practical Nurse in the District of Columbia requires licensure. Applicants for licensure must possess a good moral character, be at least 18 years of age, complete the nursing education requirements, and pass the NCLEX for licensure by examination. Endorsement applicants must submit proof of original and current licensure from other states indicating evidence of nursing education and passage of the NCLEX. All applicants must undergo a criminal background check. Applications should be submitted on a board-approved form with the appropriate fee made out to DC Treasurer. District of Columbia processes applications in a timely manner. Incomplete applications will be closed 120 days after submission. The Health Licensing Specialist will review completed applications and determine the candidate’s eligibility for licensure. The results of a criminal background check, discipline by another board, or termination from employment due to unsafe practice may impair an applicant’s eligibility for licensure. Submit an application form completed in type or black ink. Answer all questions and sign the form attesting that all the information provided is accurate to your knowledge. A completed application for Licensure by Examination. Incomplete or deficient applications will cause delays in the processing of your application. The licensure fee of $187. Make checks payable to DC Treasurer. Your social security number or a completed Affidavit in Support of Application for District of Columbia Licensure if you don’t have one. An official transcript of your nursing education indicating the date of graduation and the degree conferred. The transcript, indicating the school’s seal, should be mailed directly to the Board of Nursing in a sealed envelope. A letter of recommendation from the nurse administrator, sent directly from the school to the Board’s office, if the official transcript is not available. An official CGFNS certificate if you graduated from an international nursing education program. Two recent and identical (2” x 2”) passport photos. Livescan fingerprints for a criminal background check. Contact the Board for information on scheduling your fingerprinting session with MorphoTrust. Official documentation detailing the outcome of a criminal conviction or termination of clinical practice if applicable. Include a complete explanation on a separate sheet of paper to explain the circumstances surrounding your conviction/disciplinary action. Your signature attesting that all the information and attached documents are true. The application and required documents should be mailed to the Board’s office – address provided below. Mail the package in a 9×12 envelope. Do not staple or fold the application. Keep a copy of all supporting documents for your records. The DC Board of Nursing will review your application and issue a license to practice in the District of Columbia upon final approval. The staff will notify you of any deficiencies that are delaying the final processing of your application. You may register online to check the progress of your application. You need your social security number and last name to register. A completed application for Licensure by Endorsement. Incomplete or deficient applications will cause delays in the processing of your application. The licensure fee of $230. Make checks payable to DC Treasurer. A valid email address. Most of the Board’s communication is sent via email. Evidence of completing a nursing education program and passage of the NCLEX-PN. Verification of license from the original jurisdiction of licensure and current jurisdiction (if applicable). You can verify your license online through Nursys (attach your Nursys receipt to the endorsement application) or by mail if your original or current state does not participate in Nursys. Submit the verification in a sealed envelope from the licensing authority along with your application. The application and required documents should be mailed to the Board’s office – address provided below. Mail the package in a 9×12 envelope. Do not staple or fold the application. Keep a copy of all supporting documents for your records. You should register online, using your last name and social security number, to check the progress of your application. The Board cannot issue a license without the results of a criminal background check. District of Columbia LPN licenses expire on June 30 of odd-numbered years. The initial license will remain valid for the balance of the renewal cycle. The Board will mail a renewal notice to the address on record approximately 3 months before the expiration date. The license will be renewed for a two-year period after you submit a completed application and fee. The license renewal fee is $145. Contact hour: Submit a CE verification form signed or stamped by the program sponsor. Academic: Submit evidence of completing a course relevant to nursing. Teaching: Submit evidence of developing or teaching a CE course approved by the Board or Board-approved accrediting body. Author or Editor: Submit evidence of authoring or editing a book, chapter, or periodical related to nursing. An aging population, increasing cases of lifestyle diseases such as diabetes, heart disease, and cancer, and the Affordable Care Act all influence the demands for competent, professional nurses. In 2014, there were 1,500 LPNs in the workforce: 45% worked in long-term care facilities, 14% in home health care, 10% in outpatient facilities, 8% in doctors’ offices, and 7% in hospitals. The job outlook for LPNs remains positive in spite of the decrease in available opportunities in hospitals. According to the BLS projections, approximately 350 new jobs opportunities will be available by the year 2020. This projection does not include vacancies left by LPNs exiting the workforce during that same period. As nursing education programs produce graduates at a steady rate, there will be no shortage of jobs available for new graduates. The supply will balance industry demands. More than 80% of new graduates had job offers within 6 months. The vast majority of opportunities will be available in long-term care and home health care where LPNs play an active role in caring for seniors and persons with chronic conditions. The mean salary in 2014 was $52,162. D.C. LPNs are among the highest paid in the country.